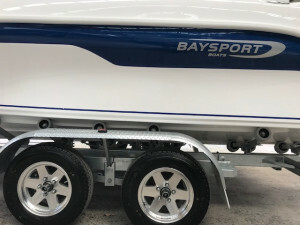 Baysport Boats are the ideal family boat for all water sports, family cruising and some serious fishing. 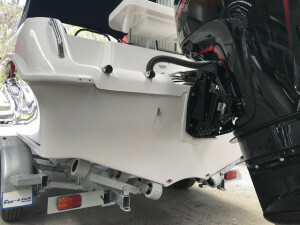 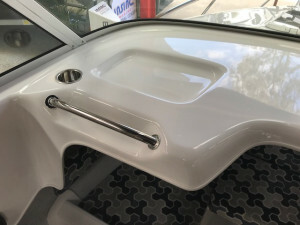 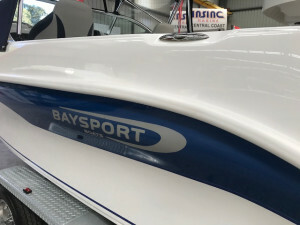 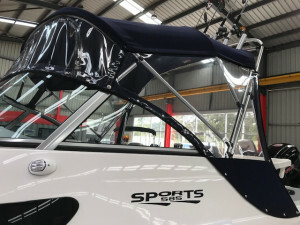 Baysport 585 Sports, 2018 Fibreglass Half Cabin, powered by 115hp Mercury 4-stroke outboard, on a Tandem Axle Sealink braked trailer. 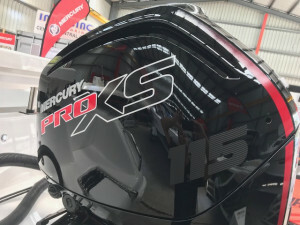 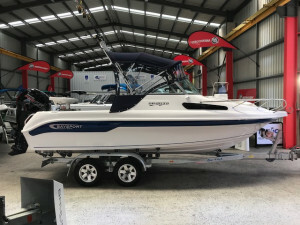 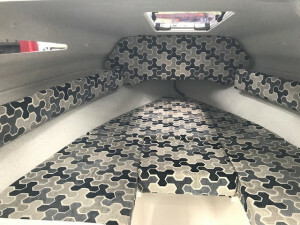 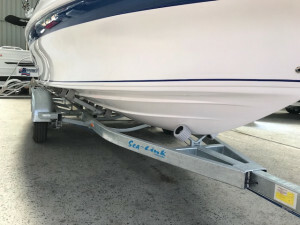 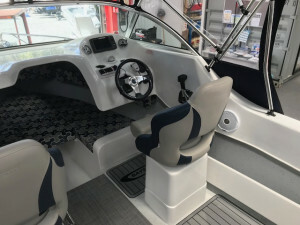 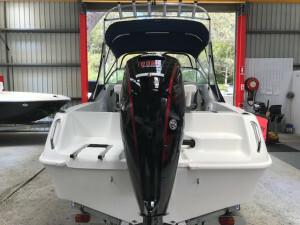 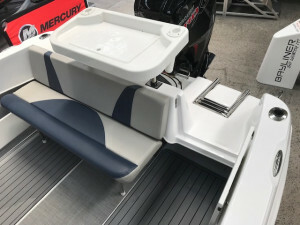 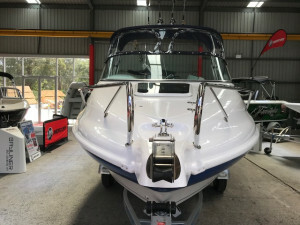 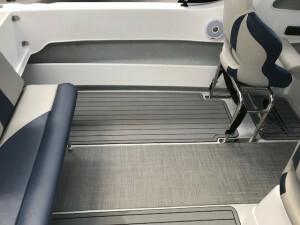 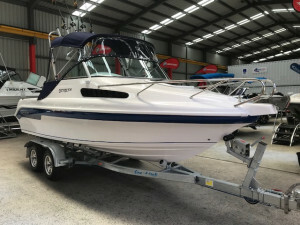 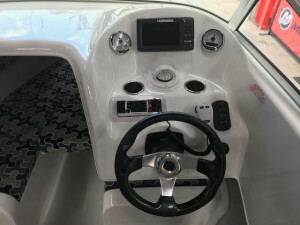 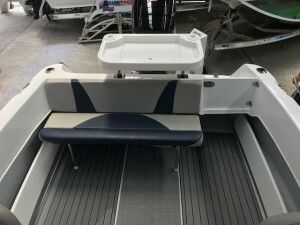 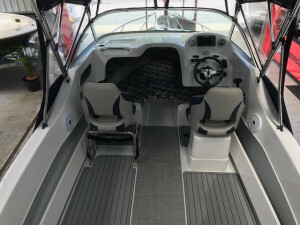 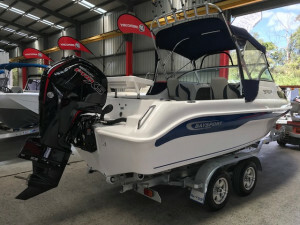 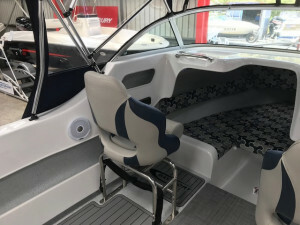 This package comes with all standard features and also includes bimini, front & side clears, rocket launcher, sea deck flooring, smartcraft gauges, hydraulic steering, alloy wheels, rear tie down straps, marine battery, fire extinguisher, anchor, chain and rope, PFD1 life jackets, paddle, torch, horn, bailer, flusher and 12mths NSW boat and trailer registration.